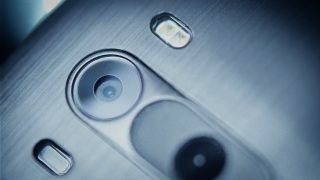 Is this how powerful the LG G4's camera will be? Will the G4's camera live up to LG's hype? Just the other day LG confirmed that the LG G4 has a 16MP main camera. Now, it's revealed some of the capabilities of its new snapper. In a video teaser LG presents it as having the power of a professional quality camera, even enlisting pro photographer Colby Brown to demonstrate it. The teaser touches on three main features. First off there's its f/1.8 lens, which we've heard about before and which supposedly allows it to shoot well in dark environments with less noise, as it can take in a lot of light. Next up the video highlights its ability to capture colour hues accurately, helped by the fact that it can apparently recognise whether you're shooting inside or outside. Finally the teaser highlights the manual controls available, allowing you to change the shutter speed, setting it up to 30 seconds in length if you want, as well as being able to adjust the ISO and white balance. We look forward to putting all this to the test ourselves, but in the meantime LG has delivered some proof of its capabilities, with sample images in the video showing off the strengths highlighted above, such as this one of a waterfall, where the colours really stand out. We've seen some impressive cameras lately on the likes of the Samsung Galaxy S6 and the iPhone 6, so if LG wants to compete in this area it will really have its work cut out - but this teaser certainly bodes well. We'll have a better idea on April 28, when the LG G4 is unveiled. The Galaxy K Zoom takes the camera phone concept to a whole new level.